It’s that time of year when I get a hankering for anything strawberry, and I count the weeks till we can go pick them ourselves. 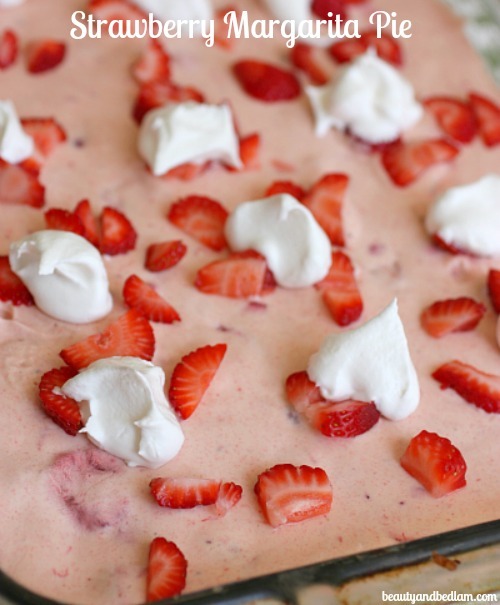 I just love a good Strawberry Pie, especially one mixed with fresh strawberries and whipped cream, but even more, this Strawberry Margarita Pie with my all time favorite pretzel crust is a new Go To recipe. Growing up in the Midwest, any potluck you attend is sure to have a Strawberry Pretzel Dessert, although it’s mixed with jello. I was shocked when we moved south and no one knew about that recipe. I’ll definitely have to post that one as well, but I decided to bring back that yummy Pretzel crust, instead of a traditional Graham cracker crust, and mix it with all kinds of frozen deliciousness. I barely got a picture in before it was gobbled up in minutes. 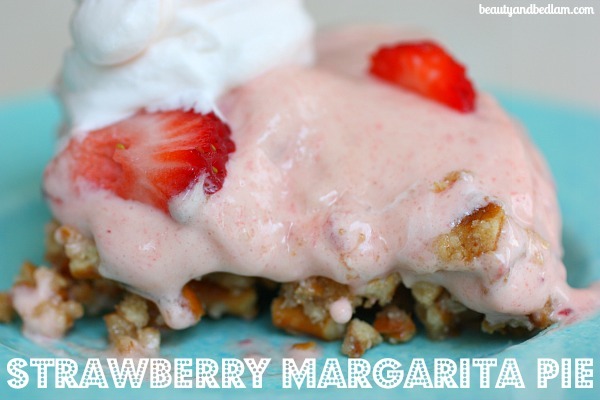 This is perfect as a non-alcoholic dessert or choose to elevate it for the adults by adding a tiny spike of tequila. It’s prettiest made in a round spring form pan, but since I typically feed this to so many people I double the recipe and make it in a 9×13 pan. Since this is a very sweet dessert, there are many times when I substitute fresh strawberries for the frozen strawberries with the syrup. When I double the recipe, I mix the ratio half and half. Either way, wait until you try it, it’s one of those recipes that people will want to have, and when that happens, you know it’s a good one. 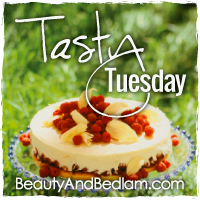 If you’re “hankering” for more strawberry recipes, check out my Strawberry Recipe post and read the comments. 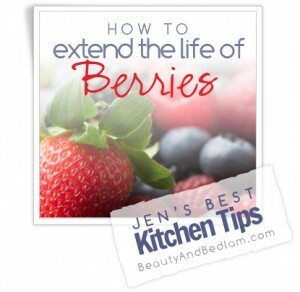 Plus, do you know the best ever tip for extending the life of your berries by weeks? Find it here. Wow, there are so many great ideas just in time for strawberry season. 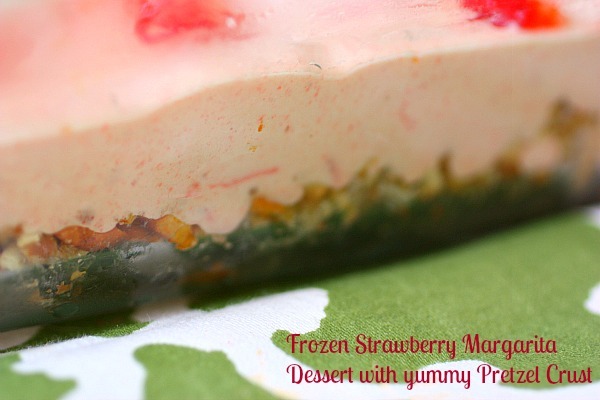 Summary: This delicious, frozen pie gives a great twist to your traditional Strawberry recipes. In separate bowl, combine all the crust ingredients and mix well. Press the mixture in the bottom of an ungreased 8 or 9 inch spring form pan. In large bowl, combine the margarita mix and sweetened condensed milk. Add the strawberries and mix until well blended. Freeze for at least 4 to 6 hours or until firm. Let stand at room temp for 15 minutes before serving. *To make the alcoholic version, substitute 1/4 cup lime juice, 2 TB tequila and 2 TB orange flavored liqueur for margarita mix. Strawberries, pretzels, and only 15 minutes to prep? I’m in! Hopefully strawberries are on sale near me soon. Thanks for hosting. 🙂 Strawberries sound delicious, and the pretzel crust sounds like it’d make for a nice sweet/salty contrast. YUM! I can taste it already. Thanks for posting..I had strawberries for breakfast, with sour cream and brown sugar. Diet food-ha! Was wondering..there are SO many ad’s popping I could hardly get to the recipe. Some..like one now at the bottom of the screen..are hard to opt out of. Is this on my end?? Thanks! Yikes – there shouldn’t be a bunch of pop ups because most are disabled. I HATE those pop ups and continually have to battle that so I ad the person who is in charge of them take them off but sometimes they come through. Off to find out. Are you on a PC laptop? there shouldn’t be any on a phone.